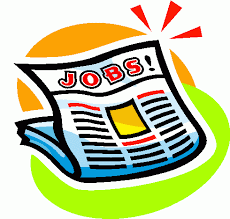 - Employment ads can be placed here for one to three months, WDHA retains the right to edit ads to fit. Please keep ad copy brief. Click here to view order form. 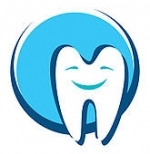 Islandental and Sound Smiles is seeking a dental hygienist. We need someone committed to excellent customer/patient service. New hygienists welcome. Skills can be learned but a service, kind, helpful, team playing mentality needs to be innate. We love our staff, patients, and have fun together. This is most important. We are looking for PT. Mondays and one other day (Tues, Wed, or Thurs) – you pick. potential other days in Bremerton. Please email resume. We are searching for an outstanding full-time hygienist to join our small private practice to work Mondays, Wednesdays, Thursdays and Fridays. No evenings or weekends. Flexible hours and schedulingPlease see our website for more information about the practice. Start date June/July TBD in May after we complete an office expansion. simple IRA 3% company match retirement plan after 90 days $75/year scrub stipend personal, medical and disability leave parental leave up to 12 weeks, of which 2 weeks is paid Starting pay TBD by experience. Our awesome team and talented dentists are looking to find an organized, self directed dental hygienist to join our dental practice. Experience is of course a plus, but we are willing to consider candidates who have recently relocated or are recent hygiene school graduates. The right individual will have excellent customer service skills, the ability to manage their own time, and strong attention to detail. Providing exceptional care to our patients is our highest priority. We are looking to add a team member who will share our enthusiasm and passion, take pride in their work, and strive to excel in all aspects of the position. Please provide two professional references. To make sure we won't receive computer generated responses please tell us the color of the sky. Also, in a single paragraph please explain the best experience you've had as a customer, client or patient and what made it special. Qualified applicants will be contacted by phone to setup an interview. Requirement: Washington state dental hygienist license (current or soon to be issued). - We are digital, intra-oral, pano, 3D etc. - We generally schedule 1 hour / hygiene patient. RDH needed to join our growing practice. If you are seeking an office that is enthusiastic about providing excellent patient care and enjoys working as a team, then we are looking for you. We are in need of a Registered Dental Hygienist to join our team of talented professionals. Experienced or New Grads welcome to apply. We provide unparalleled patient care in a state-of-the-art general dental practice. Top candidates will be highly professional, friendly, and proactive about patient care. Familiarity with Dentrix/Dexis are assets. We are located in the heart of beautiful downtown Edmonds. Competitive salary and benefits, 4 days/week Monday through Thursday or job share is also an option. Our beautiful dental office in Kirkland is looking for an excellent dental hygienist. Great Doctors and staff. Great opportunity for a Dental Hygienist! Excellent long term career path for someone who is looking to be part of a busy company with a well-established patient base. We are looking for someone who is able to carry out our core values of providing legendary customer service, communication, integrity, commitment, accountability, teamwork and continuous improvement. Responsibilities include: Able to create lasting relationships with patients and staff members; Have the ability to educate patients regarding their oral hygiene; Follow perio protocol per ADA and AAP specification. Qualifications: Current WA State license; Must have a can-do attitude; Team Player. Benefits include: Health Insurance Benefits, PTO, Paid Holidays, IRA Recent graduates welcome!. Please send CV and information. We look forward to welcoming you to our team! 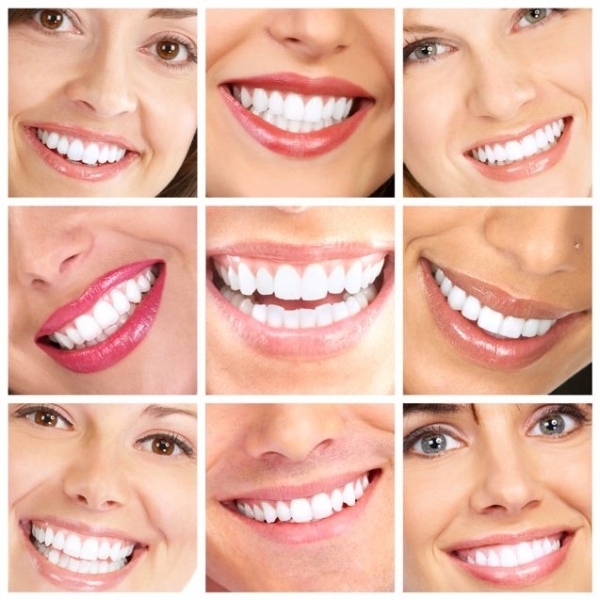 Come join our amazing team in our state-of-the-art periodontal practice! We are seeking an upbeat, energetic hygienist to join our team. As a team, we strive to provide a superior patient experience with every interaction. Benefits available. Part-time 3 days per week. Are you a passionate hygienist looking for an opportunity to work with a team that strives for a standard of service that exceeds patient expectations? We are searching for an excellent dental hygienist who desires a setting that tirelessly cultivates clinical compassion and excellence alongside extraordinary teamwork and practice health. We invite you to contribute your clinical talents and passion to a leading dental organization that embodies Washington’s innovative spirit. The tools, technology, and clinical support are unparalleled. We hope you’ll consider joining us – or at least exploring the opportunity -- as we continue to strengthen an extraordinary culture that shines through our service to each and every patient. Please respond with your resume and a cover letter explaining why you would be a great fit for our team! We look forward to meeting you! Looking to add a full time or part time RDH to our Lakewood office, a well-established private practice. $48/hr and up. New graduates and experienced welcome to apply. Friendly DDS and long term loyal patients. If interested, please email your resume. Feel free to contact us for more information about this position. We are a general dentistry practice in Lacey looking for a part-time hygienist to help us 1-2 times per month. We will work with your schedule for the days that are best for you. A strong work ethic and excellent patient and communication skills are a must. We are a paperless office- computer skills are essential and knowledge of Dentrix is a plus. This is a family-oriented practice with an emphasis on quality care. We work Monday through Thursday and some Fridays. We do not have weekend or evening hours. Compensation is based on experience. New grads are welcome to apply! We look forward to hearing from you! Please forward your resume and references. Clear Creek Dentistry is seeking a dental hygienist, who is committed to providing exceptional patient care and service. Dentrix experience preferred. Excellent benefits. Great office and team members. Please email resume with references. Looking for a part time hygienist to work Mondays. We are a private family practice dental clinic in the heart of West Seattle. New grads welcome to apply. Do you possess outstanding clinical skills and the desire to provide uncompromising patient care? If so, our successful White Center practice is seeking a full time and part time Hygienist to join our team. We are extremely values oriented and committed to exceptional patient centered care. If you want to work with this fantastic team of professionals in an enjoyable environment this is the opportunity for you. Our Ideal candidate has 2 to 5 years of experience and recent grads that fulfill the other necessities will also be considered. We are looking for a team member who has strong and effective communication skills, excellent technology proficiency and the all important human touch. The position is immediate and offers a signing bonus of $1000 with excellent salary and benefits. For consideration please email a resume (no links) with cover letter and references. You will hear from us promptly. We are a family dental office in Belltown looking for a part time, reliable Dental Hygienist to join our close-knit team. The ideal candidate will have a positive attitude, friendly demeanor, excellent communication skills, and willingness to be a team player. We are open Monday through Thursday, 8am to 5pm. $1,000 SIGN ON BONUS!!! New grads welcome, and immediate start available. To apply, please e-mail your resume. We look forward to meeting you! We are looking to hire a hygienist for 2, 3, or 4 days a week. At 3 days a week you will be full time and eligible for benefits such as medical, paid time off, and retirement fund matching. We will also include a $1500 hiring bonus after a successful 90 days. Our practice is hygiene centered. We take pride in our professionalism and building strong and long lasting relationships with the patients in our local community. We are a small practice and easy going. Please submit resumes through email or in person. We look forward to meeting you.